White Tiger Gourmet puts a hip twist on some down-home classics with BBQ options for carnivores and vegans alike. The White Tiger BBQ Sandwich is wood-smoked and covered in a homemade sauce that draws a crowd from far beyond its quaint location. Barbeque isn&apos;t exclusive to the meat-eater at White Tiger either as they feature a very popular (and very delicious) Tofu-Q Sandwich which is made up of smoked tofu, organic field greens, homemade coleslaw and BBQ sauce. In addition to their famous sandwiches and burgers, White Tiger offers specialty handmade chocolate and fresh, seasonally rotating sides, but the menu is only part of the reason people keep coming back to visit. Located in the heart of the Boulevard Historic District, White Tiger operates out of a century-old building once home to a grocery store run by the current owner&apos;s grandfather. Christmas lights illuminate a picnic area outdoors and colorful artwork for sale by local artists cover the walls inside the screen front door of the whimsically adorned old building. With an unconventional and fun &apos;Bring Your Own Beverage&apos; policy, White Tiger gained the attention and praise of Travel&nbsp;&amp; Leisure Magazine as they were named one of "America&apos;s Best BYO Restaurants." 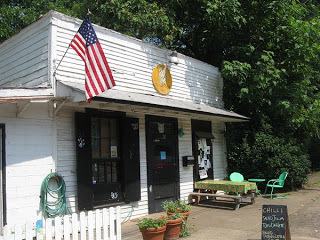 Owned and operated by a youthful couple with culinary backgrounds in gourmet cooking, the family and community friendly White Tiger Gourmet is a fresh and unique BBQ dining experience and more than just Athens residents are starting to notice. For more information regarding menu, location, press, or contact options, visit their website. Athens is also home to a far more traditional, but no less unique, barbeque experience provided by the highly acclaimed Jot Em Down BBQ. With a reputation for unforgettable food straight from its authentically country kitchen, Jot Em Down BBQ captures the taste of Southern dining in the hickory smoked flavor of its pulled pork. The homemade, vinegar-based sauces, which compliment instead of overpower, are one of the many reasons www.VisitSouth.com&nbsp; named Jot Em Down BBQ “The Best BBQ in Athens, GA for college students and families alike.” The menu might not surprise you with itss strictly BBQ classic options, but the affordable prices and remarkable tastes certainly will. 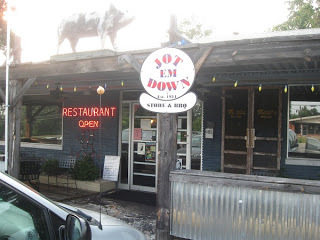 Jot Em Down BBQ is Athens&apos; purest, most delectable form of traditional Southern barbeque. Visit their website for menu, location, and contact information. To the delight of resident and visiting barbeque lovers, the many locally run BBQ restaurants in Athens, GA make worthy competitors out of each other. ·&nbsp;&nbsp;&nbsp;&nbsp;&nbsp;&nbsp;&nbsp;&nbsp; Harry&apos;s Pig Shop includes some innovative menu items, like BBQ Nachos &amp; Quesadillas, Fried Pork &amp; Scallion Won Tons, and a Spicy Sausage Philly Cheese Sandwich, to set itself apart from the rest. Due to the high number of BBQ restaurant openings in Athens, contenders have to create something special in order to stick around permanently. 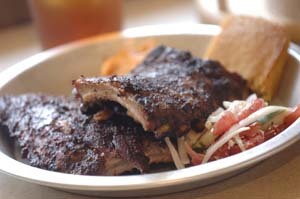 We want to know what sets apart the best from the rest, so help us out, foodies, what is the best BBQ in Athens, Ga? I guarantee investigating what makes Athens BBQ so special will be an undoubtedly enjoyable experience. So go ahead and get your hands dirty, sample the tastes of local barbeque and let us know which one deserves to be called the best. If you are already an expert, tell us what makes your #1 Athens pick so much better than the rest. We&apos;ll be waiting for your responses with moist towellets in hand!